His empire state of mind is taking him all the way up to Washington Heights! Hamilton fan and hip-hop legend Jay Z will be a producer on the In the Heights film, Page Six reports. The news was revealed at Harvey Weinstein‘s pre-Oscars party at the Montage Beverly Hills. 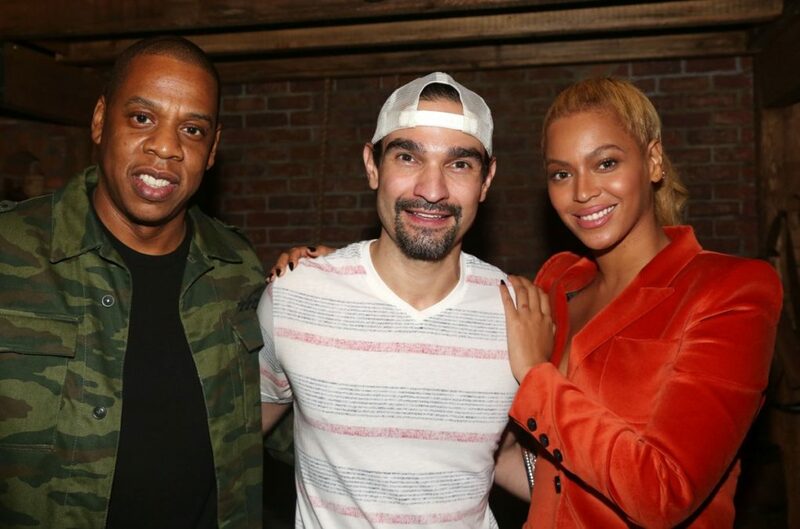 Power couple Jay and Beyoncé, who caught Javier Muñoz in Hamilton in October 2015, arrived at the event during a live performance by Cynthia Erivo, Chris Jackson and Corbin Bleu of songs from Lin-Manuel Miranda‘s In the Heights. As previously announced, the Weinstein Company is producing the screen adaptation of Miranda’s Tony-winning Best Musical with The Color Purple producer Scott Sanders. The big screen adaptation is set to begin production in the spring. Also as reported, Jon M. Chu is in early talks to helm the film. This is not Mr. Carter's first jump to the screen. In September, Jay Z and Weinstein signed a first-look movie deal. As a producer and executive producer, Jay Z has worked on Annie, Top Five and The Great Gatsby. So does this mean Beyoncé will play Vanessa or Nina? Fingers crossed!